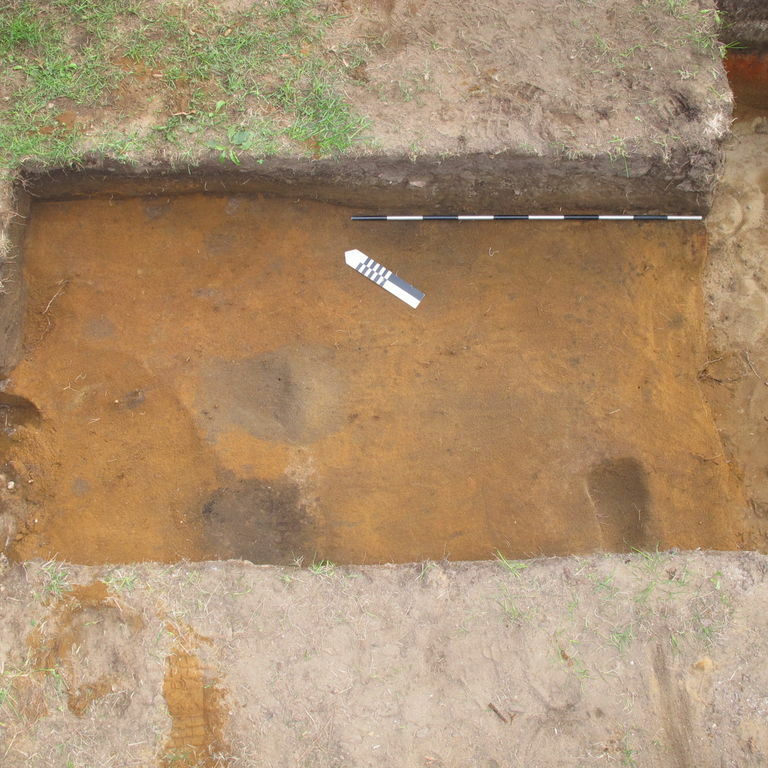 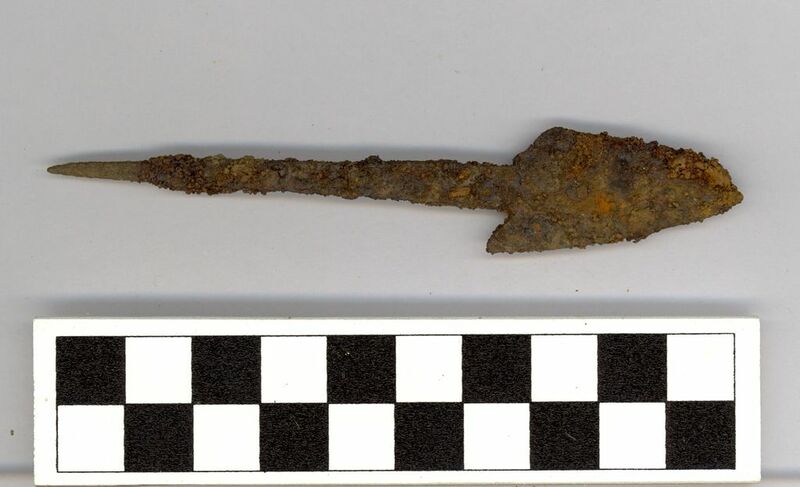 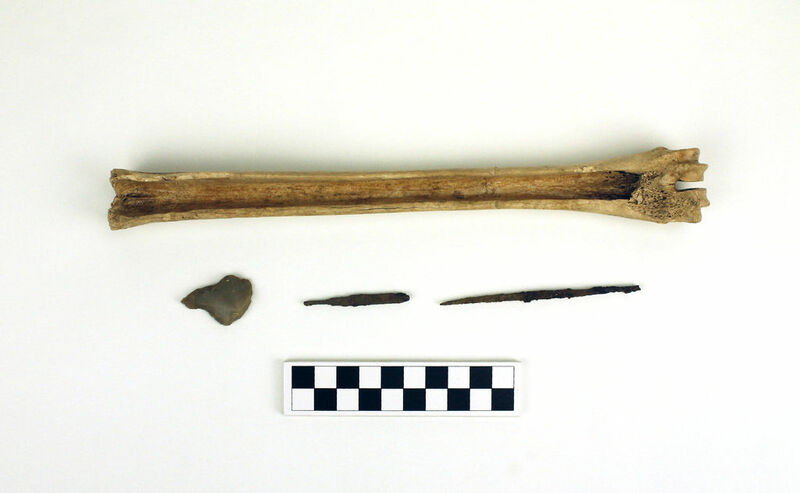 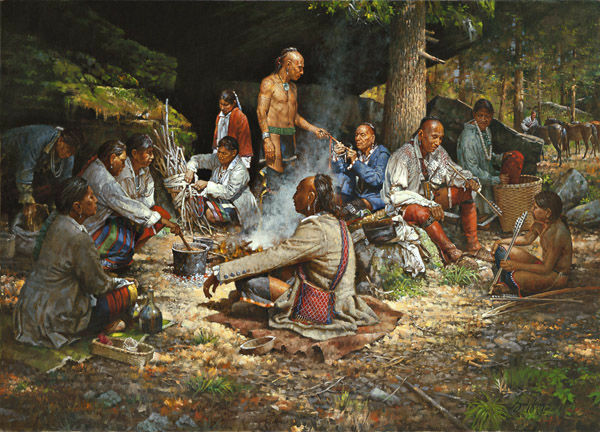 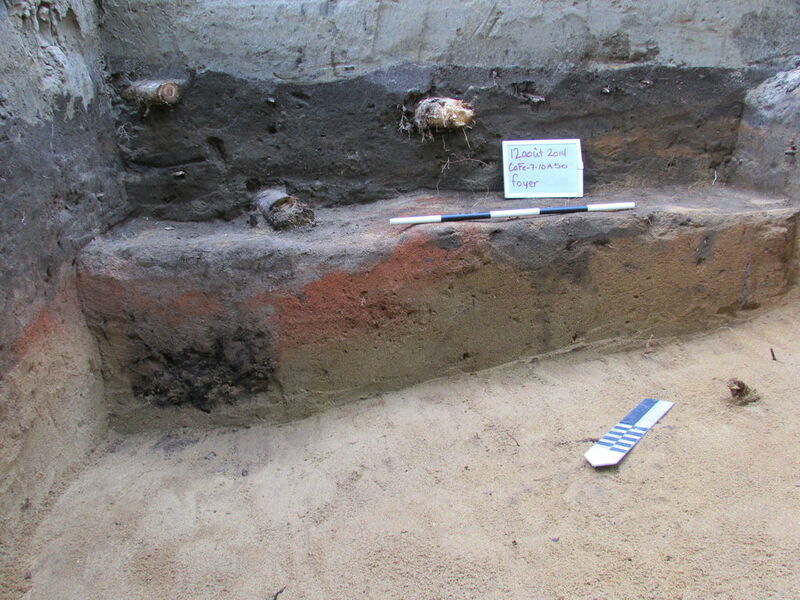 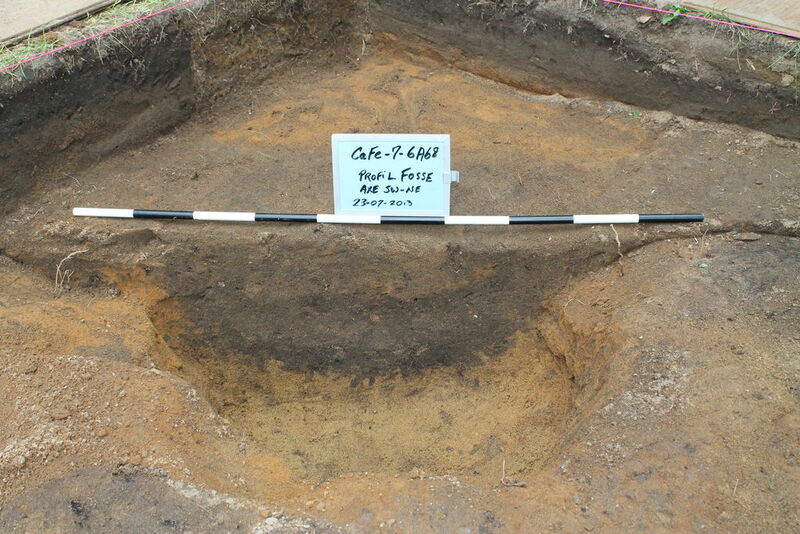 During the excavations in Odanak, archaeologists found dozens of pits typical of those that were dug in the floor of Abenaki longhouses, as well as traces of posts testifying to the presence of various domestic features: sleeping platforms, storage platforms and supports for cooking pots. 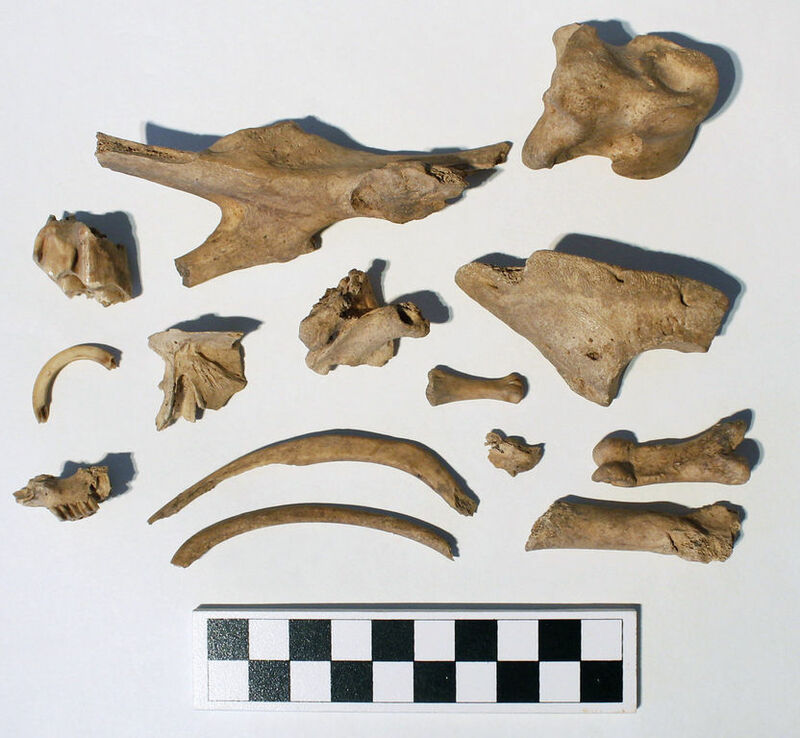 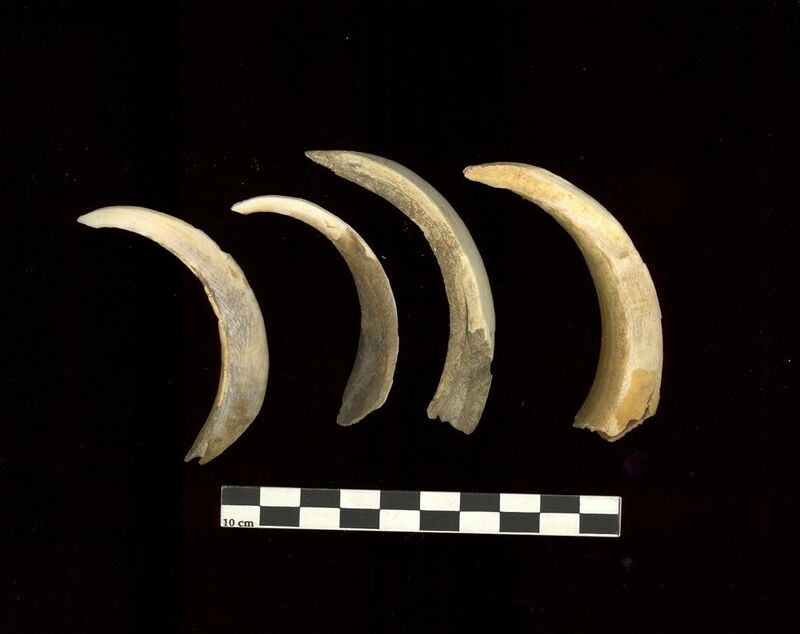 The pits, which were dug in the sand, contained large quantities of very well-preserved animal bones from, in particular, fish and mammals, such as muskrat, beaver and deer. 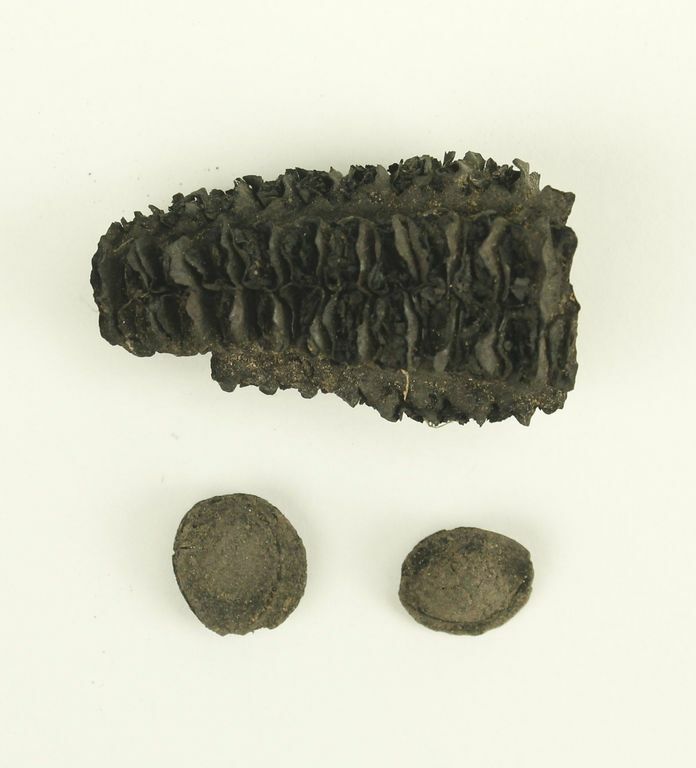 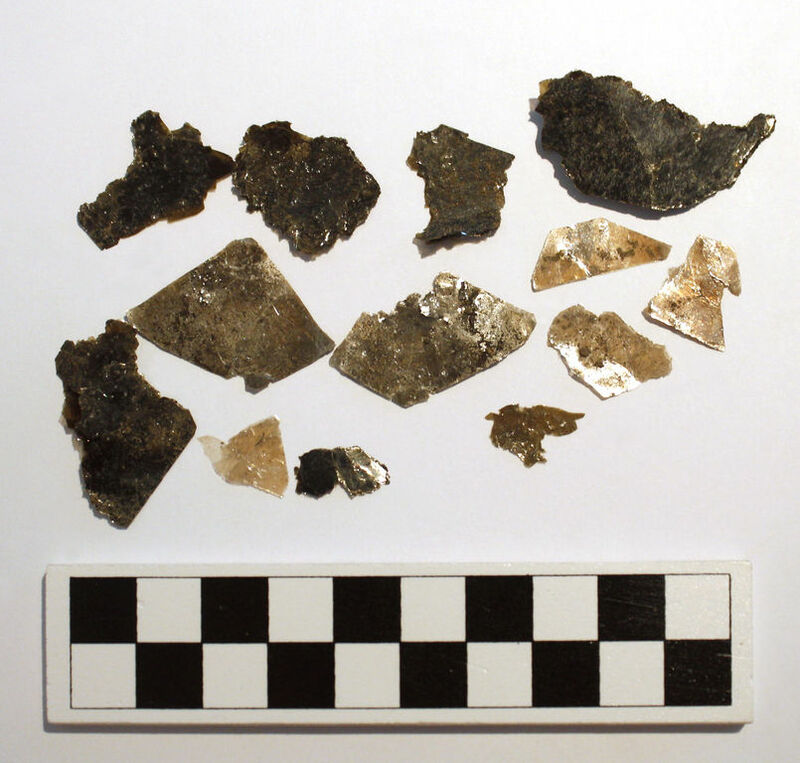 Pieces of carbonized corncobs from an indigenous eight-row variety of corn called Northern Flint were also found. 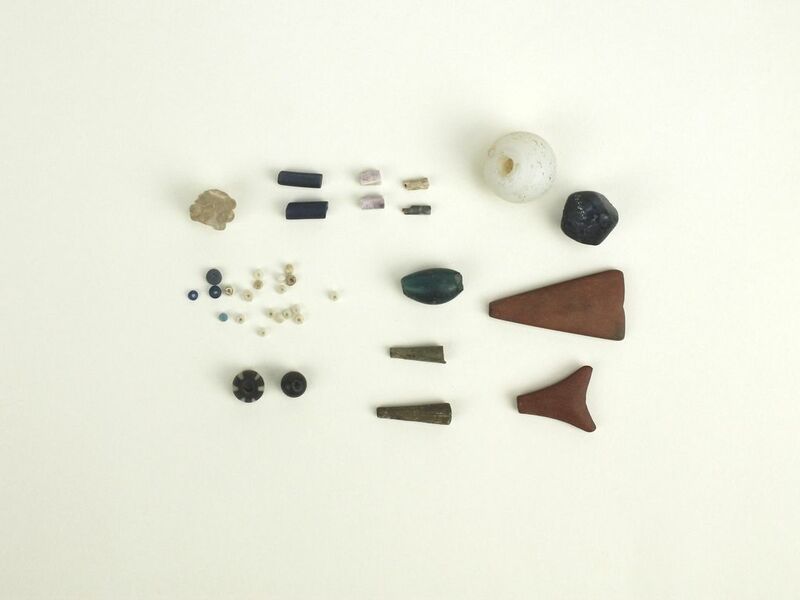 The excavation team discovered copper adornments and glass, bone and red argillite beads. 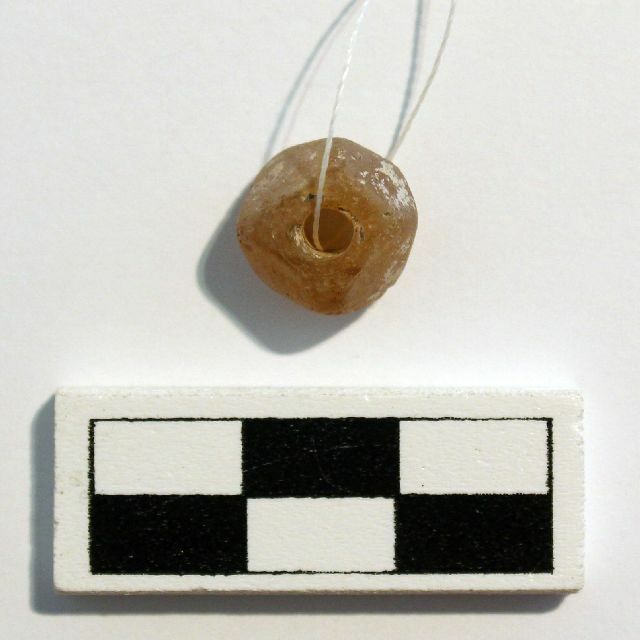 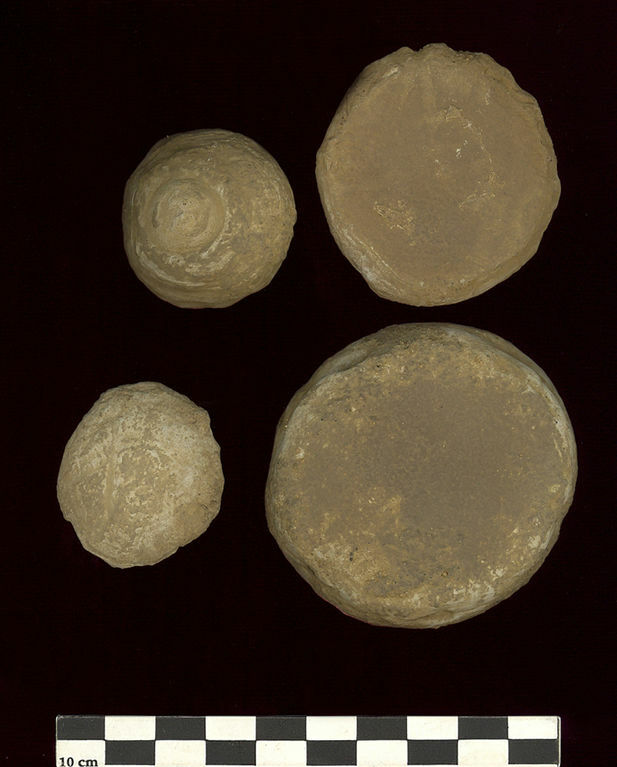 As well, they found beads made from mollusc shells from New England, which is quite exceptional. 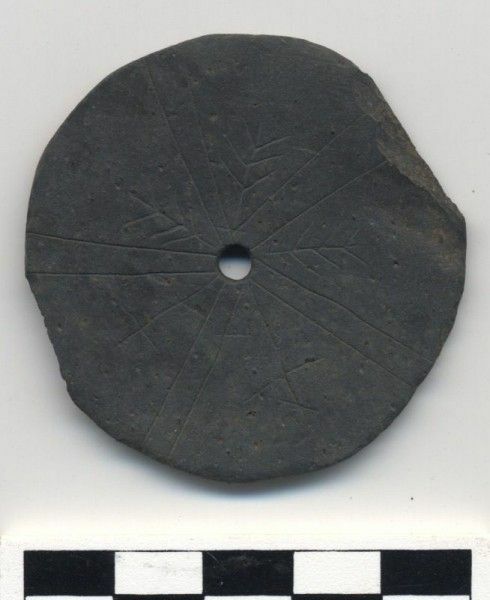 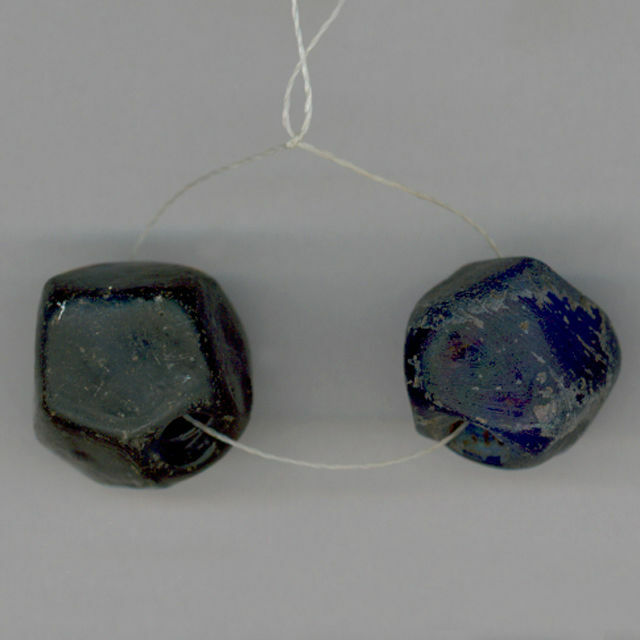 Other discoveries included decorative or religious objects such as a so-called ”Jesuit” ring and a slate medallion engraved with fine lines forming a cross and a herringbone pattern. 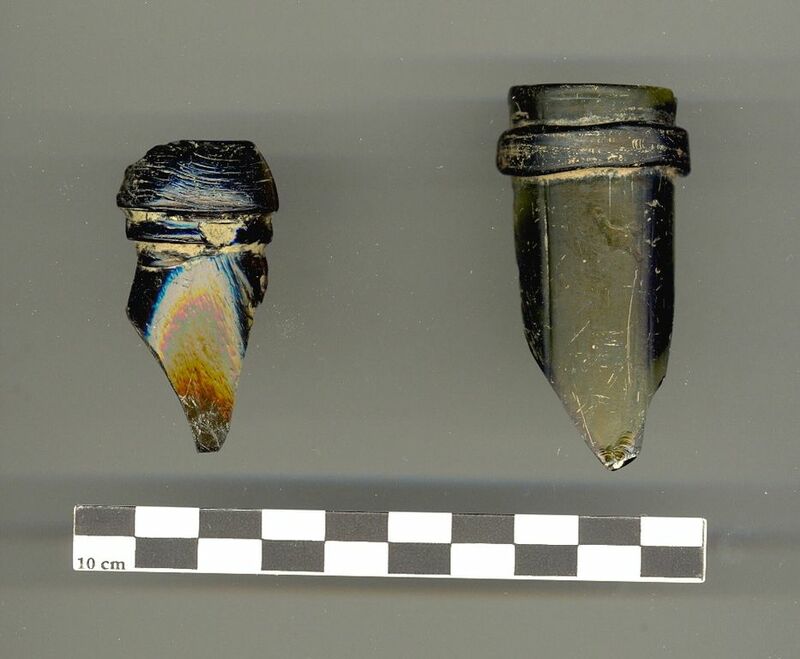 Certain objects made of materials of European origin had been recovered and modified to meet Amerindian needs; for example, some gunflints had been converted into drills. 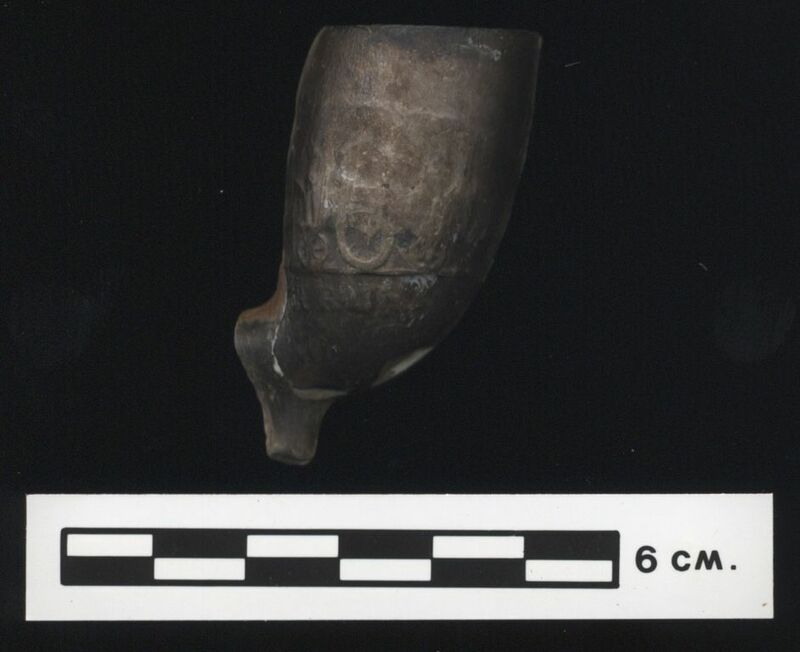 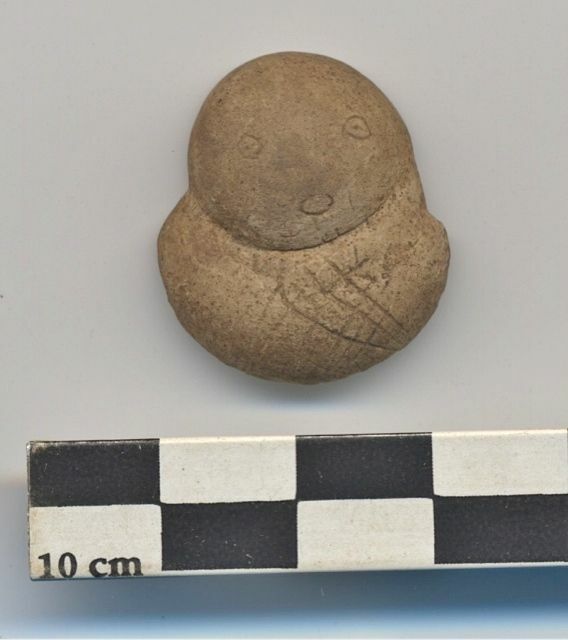 A small human figurine found at the bottom of one of the pits attracted the archaeologists’ attention: it was carved from a type of argillite that the Abenakis associated with the Mikwesu or Man8gamasak: little dwellers of the forest. 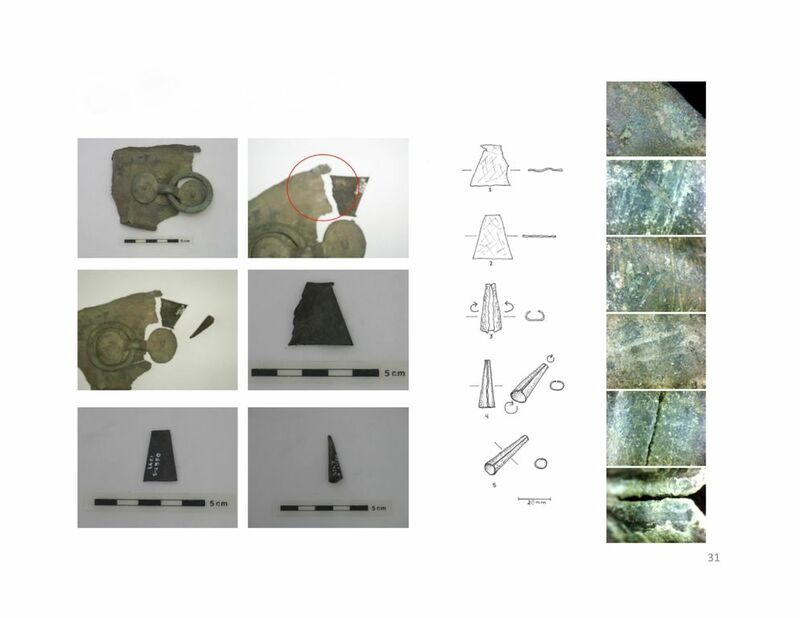 The architectural features uncovered at Odanak, coupled with the remains of wild animals and a wide variety of man-made objects, clearly reflect the presence of dwellings and craftworking areas on the site.